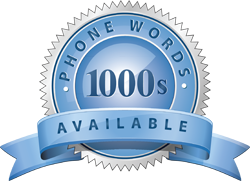 Have you ever thought of turning your business name into your phone number? Phone number names could just be what you’re looking for. Why settle for a long string of digits when the last few numbers of your phone line could represent your business name? The possibility of you getting contacted is so much better. Should you go to town with your phone number names and just make use of any old catchy phrase or word to get people to contact you? Or, should you rather opt for something that represents your business name in Australia? Experts in business would say that the latter is a much better option. The number 1300 followed by your business name will attract business from far and wide across Australia. This is exactly what will set you apart from your competition as the business owners at 1300EasyDial will tell you. Previously it was near impossible as a small business owner to make use of phone number names to help boost the turnover of your small business. Now, it is so much easier to achieve this. As business owner you will have an unfair advantage over your competition in making use of easy to remember names for your business. Whether you choose to use 1300, 1800 or 13 numbers followed by your phone name, you can be sure that you will receive more calls than you bargained for due to customers finding it easier to get hold of you. It does not matter if you are in the business of sending flowers or teaching kids at home, using phone number names will soon put you in touch with people who are looking for what you have to offer. They will find it super easy to simply dial say 1300Teacher than trying to still conduct a search in their phone book. Nothing is easier than showing the world what business you are in by displaying your phone name on your vehicle, banners, brochures or business cards. You need to have a business number to ensure you get contacted by prospective customer anyway. Why not contact 1300EasyDial to find out how you can make life easier on yourself through choosing phone number names that stands out. Small to medium business owners in Australia will wonder why they have not thought of using phone names earlier. It really is as easy as 123 to set up your new phone name for your business.